All photos on this page were taken at Pasir Panjang, Singapore in 2005. All photos on this page copywrite © Ian Stutt. 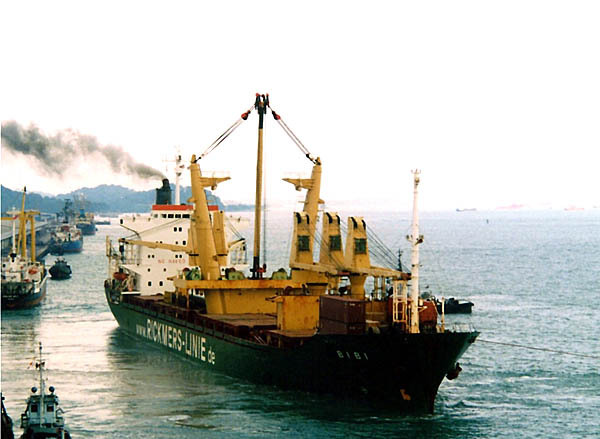 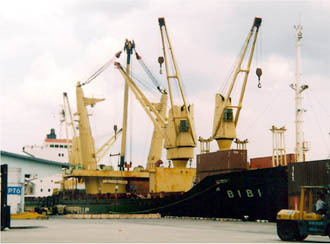 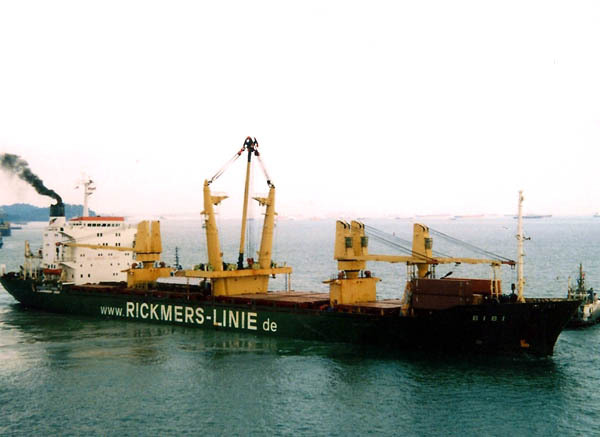 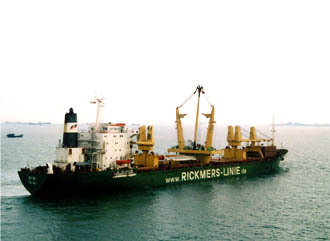 Although Rickmers took over the vessel in 1995 the name seems to have remained as Bibi until it was changed to Rickmers Dubai in 2007. 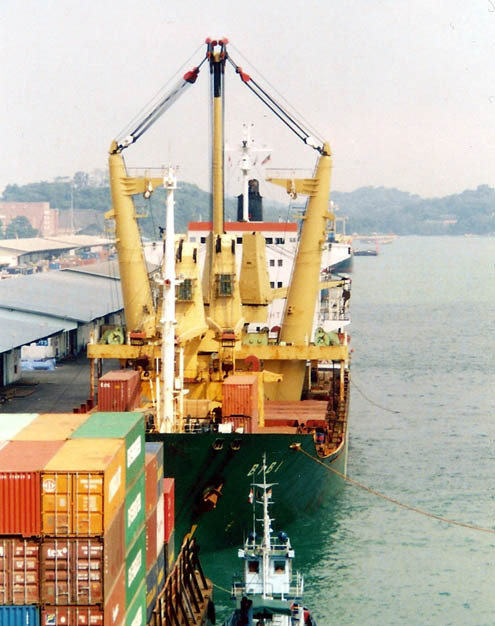 Ian Stutt took these photos when he was at Pasir Panjang, Singapore. 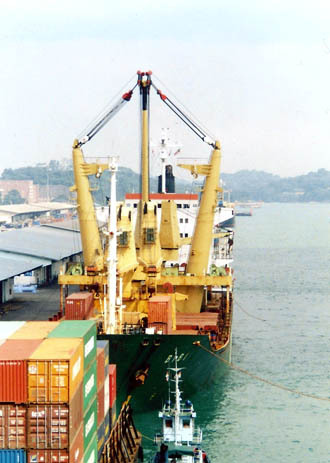 He was master of a car carrier and called their regularly as he was trading between Europe and South Korea.